Mr. Popper’s Penguins, based on the classic children’s novel by Richard and Florence Atwater, hit the big screen on June 17, 2011, and Kidzworld has the review! Tom Popper (Jim Carrey) is a suave and successful businessman who can talk his way into any deal. But in order to become partners with the men he works for, he needs to secure one more deal. And the old lady he needs to win over is one tough cookie! While Popper’s career is advancing, his family life is going down the tube. But when he receives a penguin from his late father, his entire life is turned upside down. 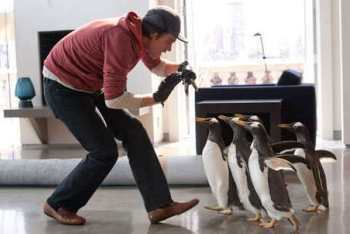 The penguin - which is quickly followed by a delivery of five more penguins - terrorizes his apartment. And no one, not animal control or the department of sanitation, will take them off his hands. When his kids visit, they fall in love with the penguins, and they soon become part of the family. 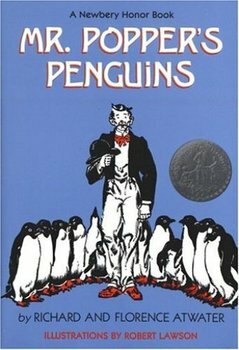 But an official from the New York Zoo learns that he’s harboring penguins illegally, and he tries to take them by force. 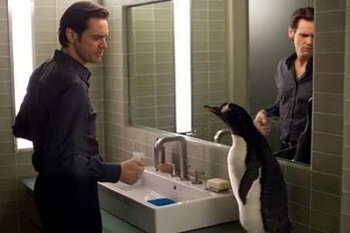 After all, Popper’s apartment doesn’t provide the proper living conditions for the penguins. Instead of giving them up, Popper fills his apartment with snow. The penguins began to lay eggs, so Popper puts his career aside to devote all his time to one little egg that won’t hatch. When his bosses discover how he’s been spending his time, they immediately fire him. Will Popper give up his pets to save his career? Or will he realize that family is more important than a job? Mr. Popper’s Penguins is the best family film of 2011. It has a little something for parents, teens and kids – career struggles, boy problems, and cute, cute, CUTE penguins! This movie definitely offers both laughs and tears, and is sure to warm your heart. 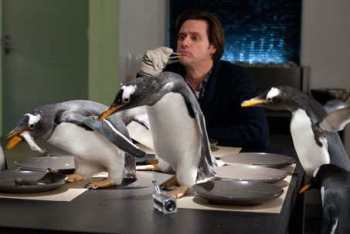 Jim Carrey Talks "Mr. Popper's Penguins"